Dental disease is the most common health issue affecting dogs and cats. Most common is periodontal disease, which affects as many as 85% of digs and cats over age three. Advanced dental disease can devastate your pets' health as they live with chronic pain and eventually suffer from additional health problems linked to the disease. 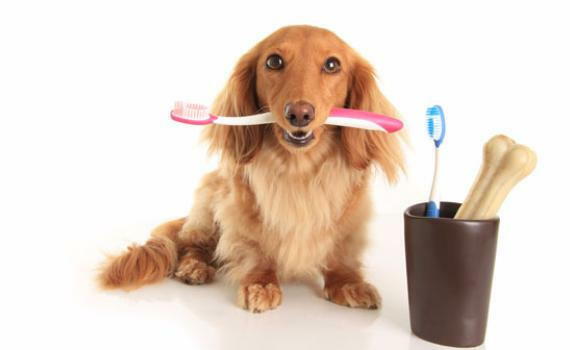 Unfortunately, most pets show few symptoms of dental disease until it becomes serious. Although periodontal disease is most common, cracked teeth, tooth resorption, stomatitis, and root abscesses can also affect your pet. Bad breath. Tooth decay and gum disease cause halitosis. Drooling, especially with blood. Blood may also appear on toys or in their water bowl. Difficulty eating. Pets may refuse to eat, chew on one side of their mouths, drop food, tilt their heads to one side while eating, or have difficulty swallowing. Sensitivity around the mouth. Pain from diseased teeth or gums may cause them to turn their heads to avoid being touched in painful areas. Pawing at the mouth, or rubbing the side of the mouth on the floor or furniture. Irritability or depression. Your pet instinctually hides pain to avoid alerting predators that they are in distress. Instead of crying out, they are more likely to express pain through a change in mood. The good news is, Family Animal Medicine can treat most dental disease and bring your pet relief. The earlier the problems are discovered the more effective the treatment, so be sure to schedule a dental checkup soon! Space is limited, so be sure to schedule your pet's dental appointment ASAP! You can schedule right now on our website by clicking here, or you can call us at (918) 609-6111. We are happy to answer any questions you may have at that number as well!